It seems as though attitudes are changing when it comes to how open we are about cosmetic treatments. At Cityskin we surveyed 80 patients in 2013 and again recently to find out who they talked to about their anti-wrinkle and dermal filler treatments. In just 3 years we have seen a leap in percentage of patients telling their best friend, partner and family about treatment. Do you tell your partner about treatment? Our study showed that in 2013, 40% of patients told their partner about treatment whereas 63% of patients tell their partner in 2016. Do you tell your best friend? Almost three quarters (71%) of patients surveyed in 2016 tell their best friend about treatment. This has jumped from just over half of patients (53%) telling their best friend in 2013. Do you tell other friends about treatment? The percentage of people telling ‘other friends’ about cosmetic treatment has increased from 29% to 49% in the years 2013 to 2016. This was the most surprising results. It turns out that we are being a lot more open with our family about cosmetic treatments than 3 years ago. The percentage of people telling family members that they have had treatment has almost doubled in 3 years from 33% to 62%. More people tell their a member of family than ‘other friends’ about treatment. Does our age make us more open to talking about treatment? Yes it does. Age makes a difference to how open we are about treatments. In 2016 100% of patients aged 20-29 told their best friend that they had treatment whereas 60% of patients aged 50-59 told their best friend. So why the change? Some might argue that the rise of Instagram, Snapchat and Facebook experiences makes us more open to talking about anti-wrinkle treatment. People are more exposed to cosmetic treatments with celebrities like the Kardashian family sharing their experiences online which may make us more open to discussing treatment. Perhaps anti-wrinkle treatments are becoming more mainstream and less of a taboo? Discussion – Why are we becoming more open about anti-wrinkle and dermal filler treatments? Our survey overwhelmingly shows that we are talking about cosmetic treatments more now than in 2013. We have also found that the younger you are, the more likely you are to tell friends and family about treatment. 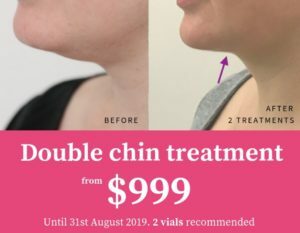 A lot has changed in the past 3 years – anti-wrinkle and dermal filler treatments seem to have become more mainstream and people are seeing it more as a beauty treatment rather than an invasive medical procedure. New beauty websites such as RealSelf allow sharing of almost every cosmetic procedure you could ever imagine. Social media sites like Instagram, Snapchat and Twitter are the place where celebrities share their latest beauty treatments. Magazine covers in the supermarket will often show a celebrity looking different prompting speculation that the have had ‘work done’. These pictures can be the starting point for conversation amongst friends which could then lead to people disclosing which treatments they have had. As a Cosmetic Doctor I have noticed a shift towards patients being more open with friends about treatments. A lot of our referrals come from friends and friends of friends who have had treatment with us. A friend or family member’s recommendation is a powerful influencer on the choice that you make when it comes to any purchase, including cosmetic treatments. I feel there is less stigma around having treatment than 3 years ago and this is enabling people talk about their cosmetic experiences. We spend a great deal of time at Cityskin writing articles on cosmetic treatments and making videos to help explain how treatments works and what to expect. The cosmetic industry can be confusing at times and, in my opinion, the more that people can share their experiences with friends and family and the more we as practitioners can share information about treatments, the better informed people can become about making decisions when it comes to cosmetic treatments. Cityskin clinic offers anti-wrinkle and dermal filler treatments with experienced practitioners in Melbourne. Anti-wrinkle treatments cost from $4 per unit and dermal filler from $650 with no consultation fee. Our approach to cosmetic treatments is slightly different. We pay great attention to not only how cosmetic treatments make you look, but how they make you feel. We want you to feel confident about yourself by looking and feeling refreshed.